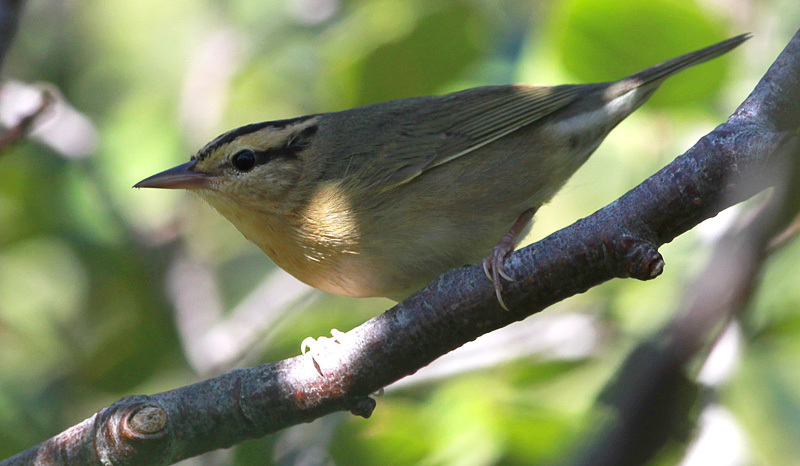 This Worm-eating Warbler, photographed near Cappahayden on September 10 2014, was the island’s sixth record. Origins: Breeds across much of the eastern United States. This very secretive bird is a rare visitor to Atlantic Canada. Record Details: Six records for Newfoundland – all during fall migration: (1) Bear Cove Point (near Renews), September 12, 1993; (2) Cappahayden, September 22, 1996; (3) Cape Spear Road, October 2, 1996; (4) Bear Cove Point, September 15, 2009; (5) Trepassey, October 8-9, 2010; and (6) Cappahayden, September 10-11, 2014.